We're so excited to launch the new Clapham School website! For a while we’ve been looking forward to the opportunity to update our information and visuals. As our school gathers steam in our second decade (Year 13! ), we wanted to make sure the outside world was seeing us as we are now. Our goal has been to build a site that is easily navigable and invites the interested searcher into a relationship with our school. There were so many areas of our school that we wanted to showcase that weren’t addressed very well on our old website: things like Servant Leadership, Fine and Performing Arts, and Spiritual Formation. 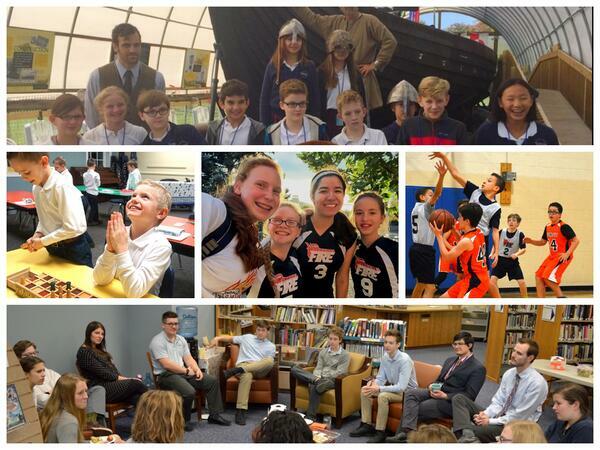 These aspects of our school, like so many other things, are inspiring our students, and we’re so glad to make that apparent to interested families in the Wheaton area and beyond! We’re thrilled with its design, which utilizes inbound marketing principles, and we are so grateful to the team at Schola Inbound Marketing and Brandbuilders, who have worked so hard to make this launch possible. Thank you, Sue and Tera! A huge thank you to Claudia as well for all her volunteer work in photography for us! Without her we would still have a paltry image library and our new website wouldn't adequately showcase the joyful discovery of our students. Lastly, our blogging team is hard at work, writing quality content to inspire us as a school community and to point us back the Christian and classical principles that make learning come alive in our classrooms and homes. Look out for our weekly blog articles on Mondays! Please share our new website with your friends and acquaintances, so they can see us with our new look!